The Ultimate baby basket to welcome the new bundle of joy. Our beautiful wicker baskets come brimming with the cutest baby clothes, bears and accessories. 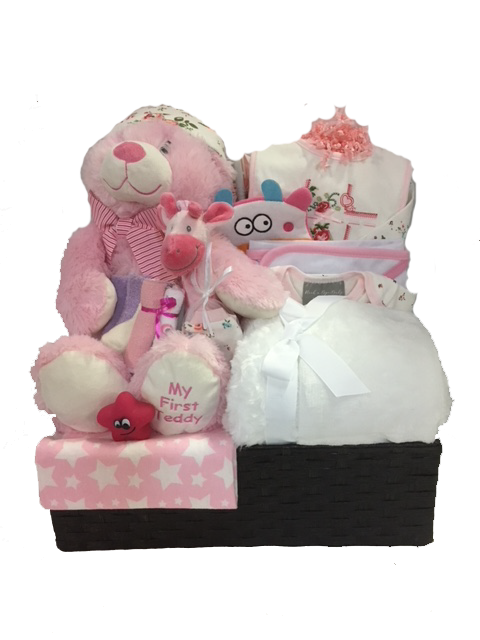 Our baby baskets can be pink, blue or green.